An absolute reduction in Do2 could occur as a result of a reduction in hemoglobin, PaO2, and hence SaO2, or from a reduction in CO which could be the result of low stroke volume or heart rate. The stroke volume is in turn dependent on cardiac preload, contractility, and afterload. These variables are summarized in Fig. 2. Fig. 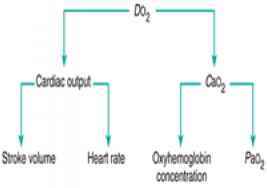 2 Determinants of oxygen delivery ( Do2). 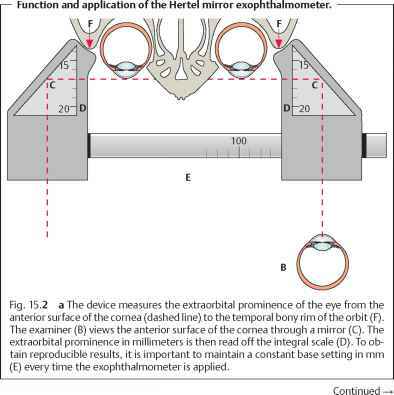 OER and a fall in Si^02 if the ability of the tissues to extract oxygen is intact. The normal values of OER (25 per cent) and Si^02 (75 per cent) are global figures for the whole body. Individual organs may have differing extraction capabilities at rest and under abnormal conditions. For instance, the kidney has an excess of blood flow over oxygen demand with an OER of 15 per cent, whereas the coronary circulation has a resting OER of 75 per cent and this cannot increase with demand. In shock states associated with increased OER survival is unlikely if Sf^02 falls to less than 40 per cent.